Turkish Style Survivor is a lot different version of the popular reality Survivor. It follows the format of American Survivor, but there are so many differences. Turkish style Survivor is not only popular in Turkey but also popular in Greece. The producer of Turkish Style Survivor (Acun Media) also started s Survivor show in Greece and that show breaks a record number of views in Greece’s television. 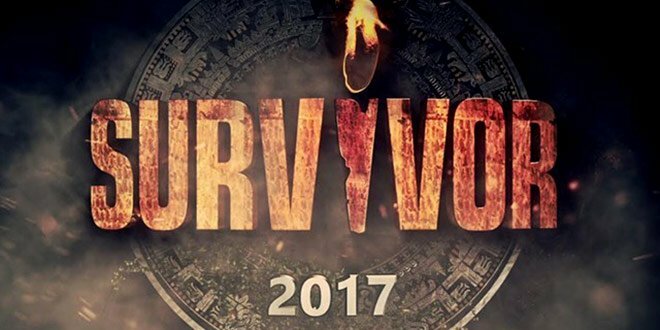 Turkish Style Survivor in Greece has reportedly hit 60-65 percent TV share. There are 27 contestants (in season 2017), instead of the usual 16. The contestants are initially separated into tribes. One tribe is called “Celebrities” the other is called “Volunteers”. Celebrities usually consist of former soccer players, ex athletes, swimmers, actors/actresses, singers or models. Volunteers are normal people but most of them have sport background. In each week they do challenges, one is for food, two is for immunity and the other one is for something called ”communication reward” where the winner team gets the opportunity to see photos and messages from their family and friends. When either of the tribe members decreases to 2, individual matches start. Dominican Republic. For 5 months. Each week, there is a Tribal Council. The team that loses the immunity game makes the Tribal Council. At Tribal Councils, each contestants has an equal voting right to determine who would be eliminated. Whoever gets the most votes at these councils becomes the nominee to leave the island. Also, the contestant who wins the individual immunity has a right to choose the 2nd nominee to leave the island. There are two immunity games in each week and thus, there are 4 nominees that start to be voted by the viewers. The contestant who gets the least SMS votes from the public leaves the island. We never know how much weight each contestant have lost or gained over the course of the show. Is it really difficult to disclose “Weight Before Survivor” and “Weight After Survivor”. Most of the contestants lose a significant amount of weight at the beginning. During the 8th-10th week of the show, we usually watch how much weight the contestants have lost. Until this deadline, contestants really lose weight. But after then we are not informed about their weight. After this deadline, most of the contestants (both men and women) are getting weight. Additionally, Survivor depletes males’ muscles. It is possible that without proper nutrition and workout, people can lose their muscles. But, it is still weird that most of the male contestants start to have Turkish belly. In order to earn a spot back in the game, nominees at the Tribal Council make a speech to the public for 2-3 minutes. Usually, we see that nominees cry, speak about justice/injustice, their willingness to stay in the island etc. Most of the time, demagogy works in Turkey. Next Burak Ozcivit and Fahriye Evcen Get Married!